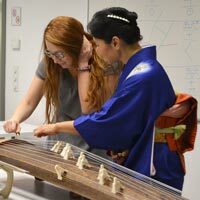 Famous Japanese Koto player Masami Morimoto visited Webster Vienna for the second year in a row as part of the ANTH 2510/50: World Music course. Morimoto delivered a brief lecture on the history of Koto and then gave an introduction on how to play the instrument. Webster students and faculty also had the chance to try this fascinating string instrument. 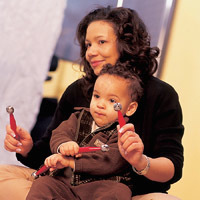 The Community Music School of Webster University is offering free Kindermusik sample classes for children and their parents who are new to Kindermusik or Music for Little Mozarts classes. The classes are open to children, ages birth to six-years-old.